There is always a long queue at Kim Gary Restaurant at Vivocity whenever I walk pass, so I've always wondered whether the food here is really that nice. One of my friend suggested having dinner here one day, so the group of us headed for Kim Gary for our dinner. Luckily for us, the queue wasn't that bad and we got seated quite fast. 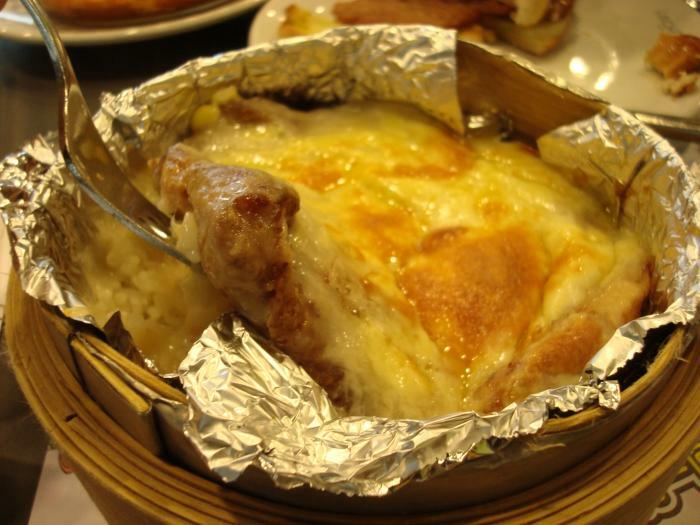 I ordered the cheese baked rice and was surprised it was in a bamboo steamer when it was served. It tasted good. The rice had the fragrance of the leaf (not sure what leaf is that called, but they laid the leaf on the bambo steamer with the baked rice on it) and the sauce for the rice is nice as well. 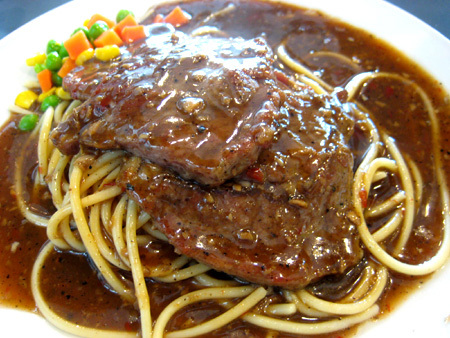 Overall, the food is quite good and the atmosphere in the restaurant is quite friendly and warm. 1. 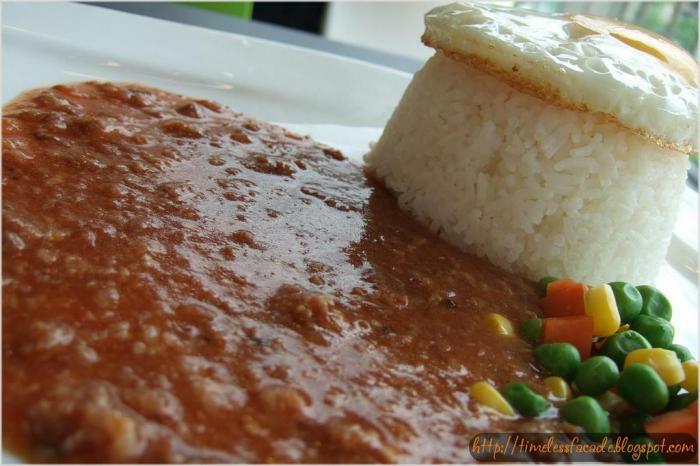 HK Style Pork Chop Cheese Baked Rice ( $10.90 ) –This was a popular dish found in most HK-styled cafés in Singapore. The chicken was juicy and well covered by generous portion of cheese melted on top of it. The rice was fragrant and not so dry. A small cup of soup was also served with the main dish. 2. Stone Grilled Unagi Rice ( $13.90 ) – The dish has unagi ( eel ) well marinated and fried to perfection. The only letdown was that the rice was not whole grain and fluffy but looked like small broken rice grains. Maybe because it was served in a hot stone bowl with an egg on it, it would be easier to stir and mixed the egg with the rice. 3. Deep Fried Chicken With Mushroom Rice ( $6.90 ) – The rice with small strips of mushrooms was well-fried with aromatic olive oil. 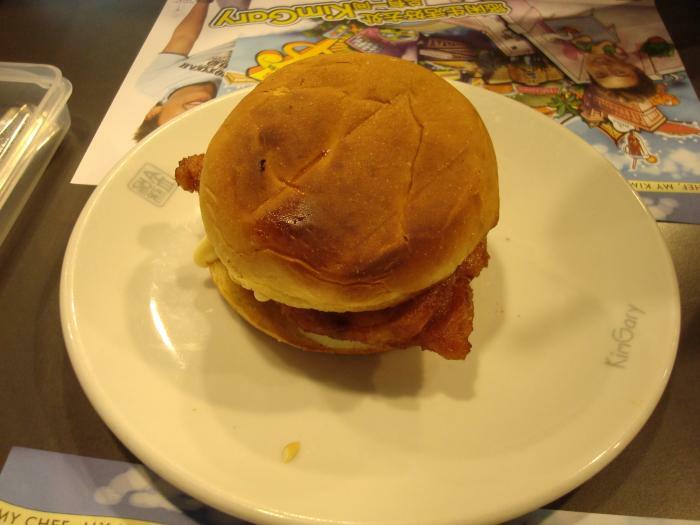 Though the strips of chicken meat was deep fried, it was moist and not oily. 4. Cold Honey Pamelo Tea ( $3.20 ) – This drink was refreshing and has a small bits of pamelo in a cute jar. We also saw that they serve instant noodles with luncheon meat. Cannot remember the price but knew that it is rather expensive as this can be a home-cooked meal. Surprisingly we saw the next table ( teenagers ) ordering it. We shook our heads and agreed that maybe nowadays, diners are willing to pay for ambience and convenience. After paying our bill, we were still pondering why this place is always crowded. Food wise, it was so so only. Maybe we didnt make the right selection but hey, when you looked at the menu, it was so confusing that we saw every diner asking the staff for clarification. Hubby and I had always wanted to try the food at this Kim Gary Cafe, after countless times of seeing super duper long queues outside this cafe? Restaurant? On 6th April 2008, Hubby and I decide to make a trip to vivocity to try their food. We were a little early and there wasn't many people in the shop. We got a seat there's near the window, but I wanted this seat in the corner that looks very comfortable and cozy. The waiter told us that the table is reserved for their staffs to have their lunch. Anyway, to cut this review short, hubby and I didn't like our food. The food we ordered and had don't seems to "justify" the queues we saw. 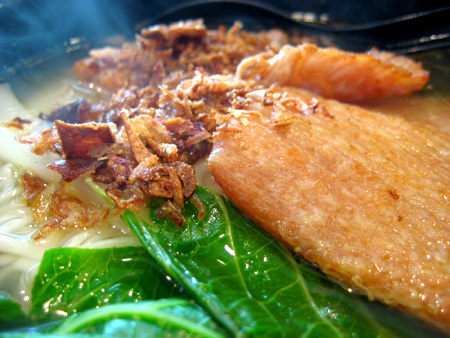 The noodle I had smells really really nice (the onions) but really didn't taste as good as it smells. I ate less than half of it. The meat's a little too tough (overcooked or something), my drink is a little too sweet, even the mini drumsticks thingy was only average. The only item hubby liked, was his Iced Yuan Yang. Maybe we ordered the wrong stuffs, will try them again when I'm in better mood. Next time I'm so gonna use the exact amount so I don't have to wait for the change or cards.